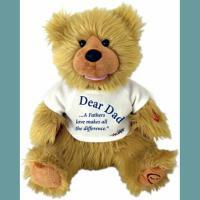 Heartwarming Teddy Bears just can't be beat when it comes to cherished, loving gifts that last a lifetime. Everyone loves bears, the young and young at heart. The History of The Teddy Bear - Today we can hardly imagine the world without that eager listener, confidante, and loyal friend, the teddy bear. But the teddy bear has not always been with us. In fact, the teddy bear did not make its entrance until late in 1902. Then, in one of life's unexplainable synchronicities, the teddy bear appeared in the same year in two different parts of the world: Germany and the United States. In America, the teddy bear, according to tradition, got its start with a cartoon. The cartoon, drawn by Clifford Berryman and titled "Drawing the Line in Mississippi," showed President Theodore Roosevelt refusing to shoot a baby bear. According to this often told tale, Roosevelt had traveled to Mississippi to help settle a border dispute between that state and Louisiana, and his hosts, wanting to please this avid hunter, took him bear hunting. The hunting was so poor that someone finally captured a bear and invited Roosevelt to shoot. Roosevelt's refusal to fire at such a helpless target inspired Berryman to draw his cartoon with its play on the two ways Roosevelt was drawing a line--settling a border dispute and refusing to shoot a captive animal. The teddy bear cartoons appeared in a panel of cartoons drawn by Cliffored Berryman in The Washington Post on November 16, 1902. It caused an immediate sensation and was reprinted widely. Apparently, this cartoon even inspired Morris and Rose Michtom of Brooklyn, New York, to make a bear in honor of the president's actions. The Michtoms named their bear "Teddyís Bear" and placed it in the window of their candy and stationery store. Instead of looking fierce and standing on all four paws like previous toy bears, the Michtoms bear looked sweet, innocent, and upright, like the bear in Berryman's cartoon. Perhaps that's why "Teddyís Bear" made a hit with the buying public. In fact, the demand was so high that the Michtoms, with the help of a wholesale firm called Butler Brothers, founded the first teddy bear manufacturer in the United States, the Ideal Novelty, and Toy Company. Meanwhile, across the ocean in Germany, Richard Steiff was working for his aunt, Margarete Steiff, in her stuffed toy business. Richard, a former art student, often visited the Stuttgart Zoo to sketch animals, particularly the bear cubs. In 1902, the same year the Michtoms made "Teddy's Bear," the Steiff firm made a prototype of a toy bear based on Richard's designs. Though both the Michtoms and Steiff were working on bears at the same time, certainly neither knew, at a time of poor transatlantic communication, about the other's creation. Besides, the Michtoms' bear resembled the wide-eyed cub in the Berryman cartoon, while the Steiff bear, with its humped back and long snout, looked more like a real bear cub. A few months later, in March 1903, at the Leipzig Toy Fair, Steiff introduced its first bear--Baer 55PB. The European buyers showed little interest, but an American toy buyer, who was aware of the growing interest in "Teddy's bears" in the States, ordered 3000. In America, people were beginning to get teddy bear fever, and Steiff was in the right place at the right time. By 1906, the teddy bear craze was in full swing in the United States. The excitement probably compared to the frenzy for Cabbage Patch dolls in the 1980s and Beanie Babies in the 1990s. Society ladies carried their teddies everywhere, and children had their pictures taken with their teddy bears. President Roosevelt, after using a bear as a mascot in his re-election bid, was serving his second term. Seymour Eaton, an educator, and a newspaper columnist, was writing a series of children's books about the adventures of The Roosevelt Bears, and another American, composer J. K. Bratton, wrote "The Teddy Bear Two Step." That song would become, with the addition of words, "The Teddy Bear's Picnic." Meanwhile, American manufacturers were turning out bears in all colors and all kinds, from teddy bears on roller skates to teddy bears with electric eyes. "Teddy bear," without the apostrophe and the s, became the accepted term for this plush bruin, first appearing in print in the October 1906 issue of Playthings Magazine. Even Steiff, a German company, adopted the name for its bears. Steiff and Ideal were no longer the only players in the teddy bear business. In America, dozens of competitors sprang up. Almost all of these very early companies didn't last, with the notable exception of the Gund Manufacturing Corporation. Gund made its first bears in 1906 and is still making bears today. American teddy bear companies faced stiff competition from all the teddy bears imported from Germany, and many of the U.S. companies didn't last long. In Germany, toymaking was an old and established industry, and many German firms, such as Bing, Schuco, and Hermann, joined with Steiff in making fine teddy bears. In England, The J.K. Farnell & Co. got its start; in fact, the original Winnie the Pooh was a Farnell bear Christopher Robin Milne received as a first birthday present from his mother in 1921. Five years later, his father, A.A. Milne, would begin to publish the Winnie-the-Pooh books about his son Christopher's adventures with his bear and his other stuffed animals. Today you can see the original toys that inspired the Winnie-the-Pooh books on permanent display in the Central Children's Room of the Donnell Branch of the New York Public Library in New York City, while the Pooh books themselves are as popular as ever. With the exception of the four years when World War I raged in Europe, the next 25 years were kind to the teddy bear. Mass production had not yet taken over the teddy bear world, and people still preferred to buy high quality, hand-finished teddy bears. Because World War I interrupted the flow of teddy bears from Germany, new teddy bear industries developed outside Germany. Chad Valley, Chiltern, and Dean's joined Farnell in England; Pintel and Fadap were begun in France, and Joy Toys in Australia. The bears themselves changed, too. Boot-button eyes were replaced by glass, and excelsior stuffing was replaced by a softer alternative, kapok. The United States was relatively untouched by the war, and its teddy bear industry continued to grow. For example, the Knickerbocker Toy Company got its start in 1920 and continues to make teddy bears today. Nine years later, though, the U.S. was hit by the Depression, and most teddy bear companies were hurt by the financial crisis. After 1929, many American companies either found cheaper ways to produce bears, or they closed. In the 1920s and 30s, musical bears and mechanical bears were very popular, and they were produced all over the world. Perhaps the most noteworthy manufacturers of these novelty bears were Schuco and Bing. These two German companies made bears that walked, danced, played ball, and even turned somersaults. But the outbreak of World War II in 1939 stopped the fun. Instead of making teddy bears, the world's workers and factories were needed for the war effort. Some companies closed and never reopened. Made around 1929, the 9-inch mechanical duck by the German company of Bing was wound by a key. While traditional teddy bear companies had always prided themselves on quality hand-finishing and had always used natural fibers to make their bears, all that changed after World War II. Fueled by a desire for washable toys, synthetic fibers were all the rage in the post-War years. Buyers liked the idea of washable toys, so bears were made from nylon or acrylic plush, and had plastic eyes and foam rubber stuffing. 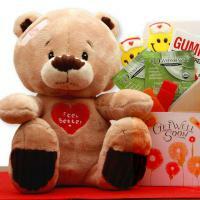 Traditional teddy bear companies could adapt to this change in materials. However, they were not prepared to compete against the flood of much cheaper; mass-produced teddy bears coming from eastern Asia. Even the old, well-established companies were hurt by the onslaught of inexpensive teddy bears from the Far East. Strangely enough, the comeback of the teddy after years of mass-production was triggered, not by a bear maker, but by an actor. On television, British actor Peter Bull openly expressed his love for teddy bears and his belief in the teddy bear's importance in the emotional life of adults. After receiving 2000 letters in response to his public confession, Peter realized he wasn't alone. In 1969, inspired by this response, he wrote a book about his lifelong affection for teddy bears, Bear with Me, later called The Teddy Bear Book. His book struck an emotional chord in thousands who also believed in the importance of teddy bears. Without intending to, Bull created an ideal climate for the teddy bear's resurgence. 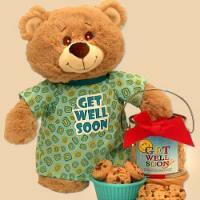 The teddy bear began to regain its popularity, not so much as a children's toy, but as a collectible for adults. In 1974, Beverly Port, an American doll-maker who also loved making teddy bears, dared to take a teddy bear she made to a doll show. At the show, she presented Theodore B. Bear holding the hand of one of her dolls. The next year, Beverly presented a slide show she had created about teddy bears for the United Federation of Doll Clubs. That show quickly became a sensation. Other people, first in the United States and then all over the world, caught Beverly's affection for the teddy bear. They, too, began applying their talents to designing and making teddy bears. One by one, and by hand, teddy bear artistry was born with Beverly, who coined the term "teddy bear artist," often cited as the mother of teddy bear artistry. Today thousands of teddy bears artists, often working from their homes all over the world, create soft-sculpture teddy bear art for eager collectors. Artist Bears set the stage for a new kind of manufactured bear, the artist-designed manufactured bear. Today artist-designed manufactured bears are offered by Ganz, Gund, Dean's, Knickerbocker, Grisly Spielwaren, and others; all offer collectors the opportunity to own artist-designed bears that cost less due to mass production. This increased appreciation for the teddy bear as an adult collectible has also increased the value of antique teddy bears, the hand-finished, high-quality teddy bears manufactured in the first decades of the 20th century. In the 1970s and 1980s, these old, manufactured teddy bears began showing up in antique doll and toy auctions, and they began winning higher and higher bids. Today the current record price for one teddy bear, Teddy Girl by Steiff, is $176,000; that bear was sold at Christie's auction house in 1994. So what's next for the teddy bear? Certainly our love affair with the teddy bear shows no signs of abating. In 1999, in just the United States, collectors purchased $441 million worth of teddy bears. Certainly, as we begin our journey through a new century, we certainly need the teddy bear's gift of unconditional acceptance, love, and reassurance more than ever.